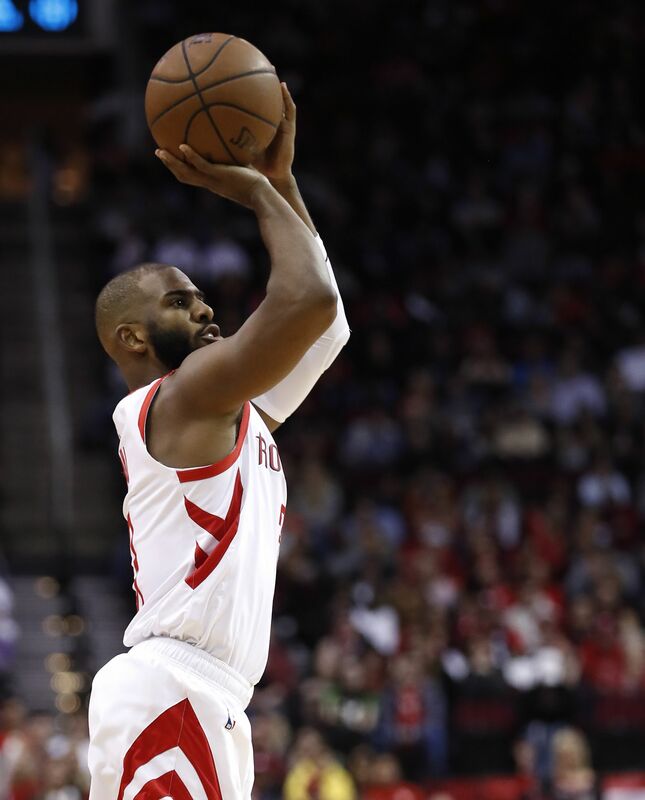 Houston Rockets guard Chris Paul (3) takes a jump shot against the Orlando Magic during the second half of an NBA basketball game at Toyota Center on Sunday, Jan. 27, 2019, in Houston. The Rockets went into Tuesday's game planning to keep Chris Paul's playing time limited to roughly 25 minutes. He played 25 minutes in his first game back from a strained hamstring, sitting for long stretches in each half rather than to have multiple short stints in the game.